Where fun is par for the course! Grab your best (or worst!) 2-6 golfing partners and challenge them to Play Nine! Every draw of a card in this game will challenge your next move as you battle for the lowest score. There's plenty of strategy mixed with a little luck-of-the-draw. Be the first to complete a hole and your opponents have only one draw left before they must tally their scores! This family fun game can be played anywhere and is the perfect gift for any occasion. Includes: 108 playing cards, instructions and score cards. For 2-6 Players. Ages 8 to Adult. 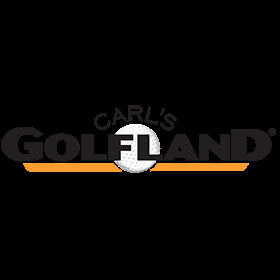 I ordered the card game "Play Nine" from Carl's Golfland and was so pleased with the easy, fast, friendly service! We love the game and will tell all our friends where to order it! We were introduced to this golfing game at a family get together. We give door prizes at our family reunion each year of games, movies, puzzles. We make sure we have play nine in each bag. We give them for birthday's and try to pass them on to every family. (THE ONLY game of golf I Play). Great game! Great prices and service! Very pleased ,came right on time, Great game for a great price.